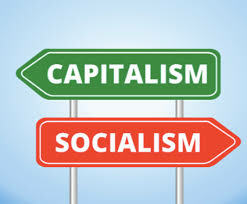 Is Capitalism without Socialism Sustainable? The fall of the Berlin Wall marked the end of the communist experiment, and to the extent that the experiment was an application of Marxist ideas about class conflict as the driver of human development, the reunification of Germany that followed also meant for many the failure of those ideas. The great paradox that needs explaining now is why the global income gap has expanded as greatly as it has done since 1990 if class perspectives are not as crucial as Karl Marx claimed them to be; and subsequently, how are we to approach the issue of class dynamics in the post-Cold War era? Can we simply ignore it? Without the Warsaw Pact countries to mirror and threaten it, capitalism has in fact gone on a drunken triumphalistic spree that we call Neoliberalism, for want of a better word. There is after all no longer any good reason, strategic or moral, to limit anyone’s accumulation of wealth. In that sense, perhaps it is logical that the greatest enemies of global capitalism today are religious zealots and raving xenophobics. The end of the Cold War also saw Communist China reversing the communist logic of its nation-building. From a society that sought to minimise its income gap, it went in the opposite direction and allowed that gap to grow as much as it would. And in the process, it astoundingly uplifted hundreds of millions of Chinese out of poverty. That success has been awesome, and undeniable. However, in recent years, this state-sponsored capitalism has also started hitting speed bumps, and we see Beijing putting into place desperate measures to limit the self-destructive dynamics that unhampered wealth accumulation fosters. The sustainability of the global economic system (or systems, if one wants to be pedantic) in its present form is therefore in question. In fact, 2016 was a year that manifested new divisions in societies the world over – in the first, second and third worlds. Needless to say, this turn of events has left pundits searching for ways to describe the last quarter century, to understand late globalisation and to reverse what most would agree is an unacceptable accumulation of wealth by the top one per cent. More and more being accumulated by fewer and fewer undermines the dynamism of capitalism; on that, Karl Marx was correct. But since the collective call for systematic redistribution of wealth that Marxism inspired was finally silenced and invalidated three decades ago, we have to expect the income gap to keep growing even when social mobility, paradoxically, continues to rise, at least for a time. But then, are we dealing with what is basically an economic issue, with merely equity problems, or are we facing developmentalism’s final limits, expressed in the merry destruction of the very biosphere that has sustained us? Has our big brain made us barmy? Has capitalism’s victory been too complete? To be sure, the Sustainable Development Goals (SDGs) adopted by the UN are a list of measures to limit the rampant capitalism of the post-Cold War era. But are these technocratic goals really enough? We do have to ask today if the global rat race will end with us sauntering steadfastly into quicksand, clawing at each other to be the last to stay afloat, before we asphyxiate?